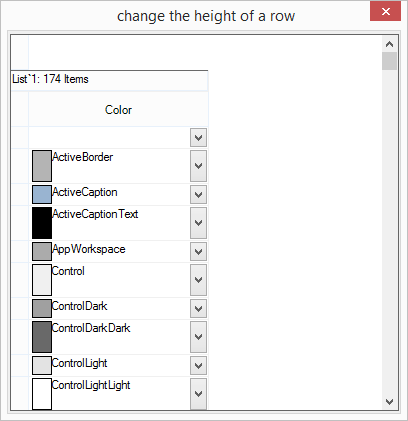 How to change the height of a row in the GridGroupingControl? In the GridGroupingControl, when you change the height of a particular row, it affects the height of all the rows. You need a custom engine to resolve this problem. The custom engine is used to avoid the problem by passing the row index in the RowHeight property. In the GridModel, height of a single row is changed by using the GridEngineFactory class before invoking the InitializeComponent method.